After a day of walking through the fun-filled booths and squeezing through the crowds at STGCC, Chad, Yan and I took slowly for dinner at this ramen restaurant at Parco Millenia Walk, Keisuke Tokyo Ramen. It’s faster to walk from the new Promenade station on the Circle line. 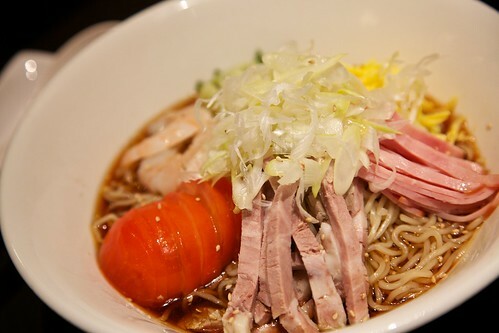 What’s special about this ramen restaurant was its special ramen stock made from prawns! With an emphasis on was. 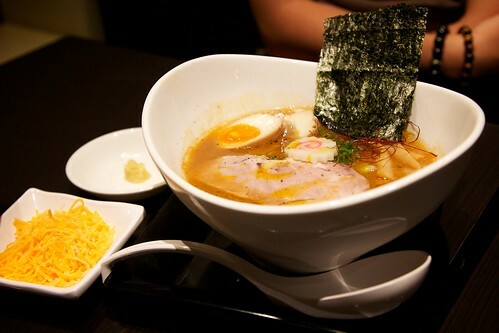 Due to poor response from the local community, Keisuke Tokyo Ramen had been forced to abandon their original dishes for a more generic menu. 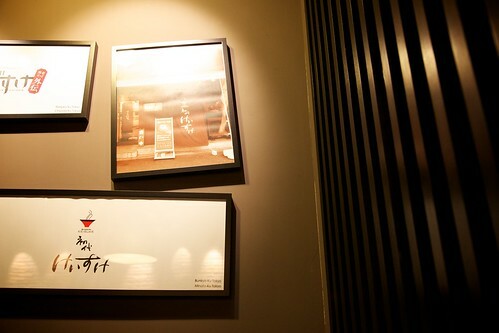 Apart from the revamped menus, the decor have been adjusted since Yan and MJ’s last visited to Keisuke too. All mention of prawn have been eradicated and it is now much more apparent from the signage that Keisuke Tokyo Ramen sells ramen. Prices have also been reduced to attract local customers. For better or worse, there wasn’t much of a crowd when we visited the restaurant this day. Today Yan tried the Miso Special and ordered an additional side of cheese to add into the ramen.. The presentation of their bowls were rather impressive. He had his served in a goblet-like bowl! Chad had his ramen cold, due to (for the lack of a better word) preference. It had a rather interesting taste and the dish deserved points just for the fact that he managed to finish it. Me, with the sniffles, stuck to the traditional Char Siew Miso Ramen with butter. The first bite of the ramen had a nice chewy feel to it. That was the moment I knew that I was gonna enjoy this bowl of ramen. Complimented with the ramen miso stock, slurping the noodles made it complete. Generally, I love miso soup and the taste of the soup in this case was just nice, neither too strong nor subtle. Sadly, my ramen wasn’t accompanied with servings of boiled bamboo shoots. As that would had made it even better. 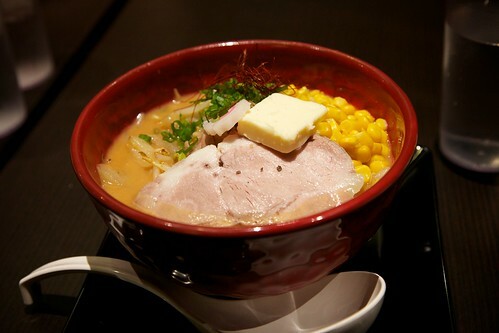 If in the area, be sure to check out Keisuke Tokyo Ramen. 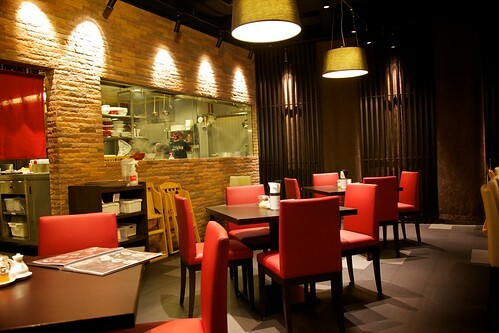 The new modified menus should appeal well to Singaporean taste buds if you’re willing to give it a try. Just walking along taking a few photos here and there. Looking for that special something. Or perhaps wandering around appreciating the life around me.